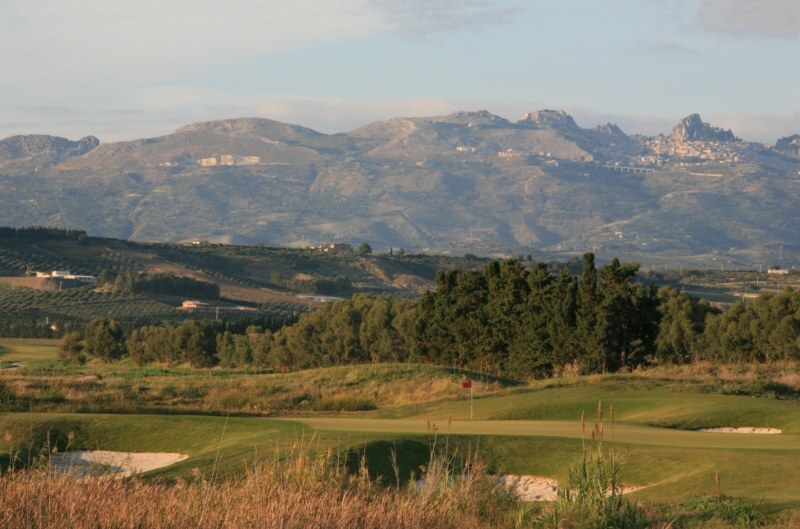 (Sicily, Italy) — Golfers and resort travelers will soon be able to experience a unique new golfing experience on Sicily’s southwest coast called Verdura Golf & Spa Resort. Once the resort’s stunning three courses, designed by world-renowned architect Kyle Phillips, is scheduled to reopen for its first full year in March 2010, this new upscale resort development is positioned to be a must-play property. According to Sir Rocco Forte, chairman and chief executive of the luxury hotel company The Rocco Forte Collection, no other golf resort on the continent can compare to Verdura. 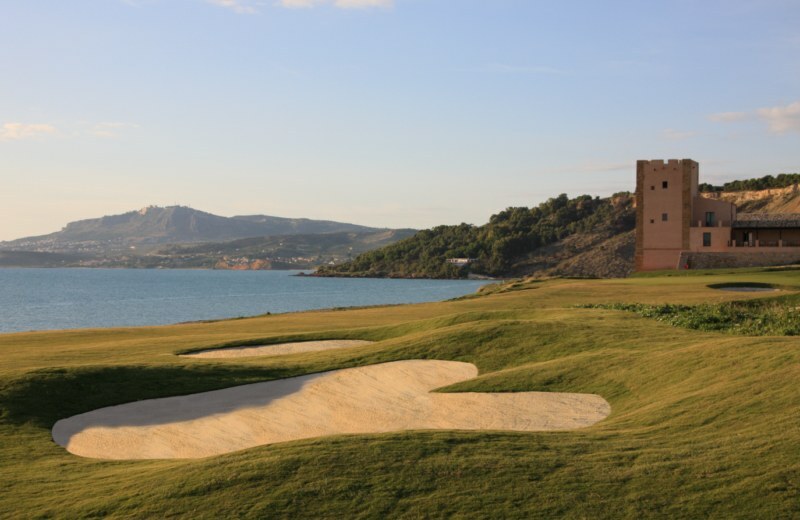 “There wasn’t anywhere in Europe that offered the kind of golfing holiday I was after,” claims Sir Rocco, who spent eight years nurturing Verdura as the company’s first resort venture. Verdura’s 570-acre site is highlighted by some 1.2 miles of private coastline. Phillips, who created the universally acclaimed Kingsbarns Links near St. Andrews and The Grove near London, enjoyed a pristine canvas on which to design his vision for the two 18-hole championship courses, the East and the West, as well as the engaging 9-hole par-3 course. Verdura’s East Course is 7,221 yards and the West Course measures 7,474 yards from the championship tees. Phillips has routed holes from both the East and West layouts so that a composite Championship Course is formed to present a challenging venue for a future professional tournament. This novel yet strategic design would play at 7,458 yards, with all of Verdura’s ocean holes coming into view and providing dramatic visuals for a television audience. Verdura’s Director of Golf, Niall Cameron, has a rich pedigree of golf operations experience at such notable clubs as Turnberry, Royal St. George’s and the ultra-exclusive Lyford Cay in the Bahamas. He also spent a number of years competing on the European Tour. The Rocco Forte Collection was established in 1996 to create a group of luxury hotels in Europe. The hotels have individual styles, with each hotel reflecting its nationality and location. The properties are linked together under The Rocco Forte Collection and comprise Hotel de Russie in Rome; Hotel Savoy in Florence; The Balmoral in Edinburgh; The Lowery Hotel in Manchester and Hotel Astoria in St. Petersburg, to name a few. (Dubai, United Arab Emirates) – Tiger Woods Dubai, the debut of Woods’ golf course design career continues to move forward, according to the Dubai-based developers. Dubai Properties Group, which is behind the project, said it is committed to completing Woods’ Al Ruwaya golf course and continues to make progress on the first course created by Tiger Woods Design. “The Tiger Woods Dubai does not comment on the personal lives of our valued partners,” Tiger Woods Dubai was quoted as saying in a prepared statement to Bloomberg News. Tiger Woods Design, a Windermere, Fla.-based company headed by Woods, announced plans for the Al Ruwaya course in December 2006. Dubai Properties is part of state-owned Dubai Holding, which may join another state-owned investment company, Dubai World, in restructuring debt, Morgan Stanley said in a Dec. 8 report. Dubai received a $10 billion bailout this week from Abu Dhabi after seeking a standstill from creditors. The company building Tiger Woods Dubai, a master-planned resort-style community, said in a statement Dec. 16 it remains committed to finishing the first course designed by Woods. The developer, part of the Dubai Holding conglomerate owned by the city-state’s ruler, says “progress continues” on the project but gave no specifics. Woods said in June that the long-delayed project was “out of my hands,” when developers announced a halt to construction of the golf course.